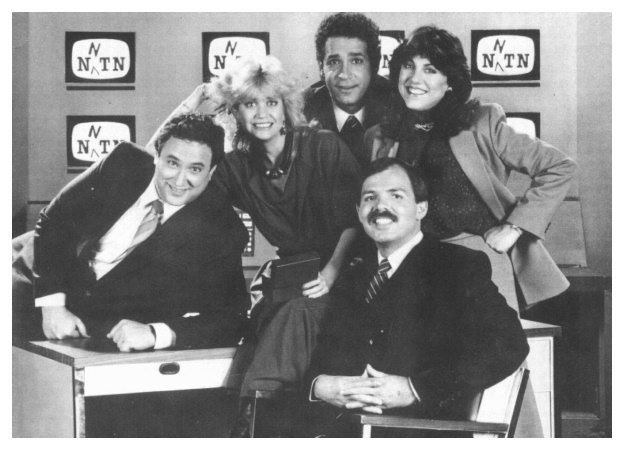 Award-winning satirical news show NNTN ran on HBO from 1983 to 1990. Starring Stuart Pankin, Lucy Webb, Danny Breen, Mitchell Lawrence and Anne Bloom. Best known for its topical humor, commercial parodies and doctored news footage. Cast (left to right): Stuart Pankin, Anne Bloom, Mitchell Lawrence, Danny Breen, Lucy Webb.